As all of you contemplate your next fishing expedition, consider the time you won’t be fishing. For some of you die-hard anglers, I realize this may be difficult. Chances are, many of you will visit Cave Run with one thing on your mind, muskie. With minimal planning your next muskie trip could be an adventure you’re not likely to forget. The Cave Run area offers more than muskie. To those who enjoy the Blue Ridge Mountains, Native American folk lore and Kentucky hunting, the serene country that surrounds this area is full of beauty, legends, and an abundance of wildlife. 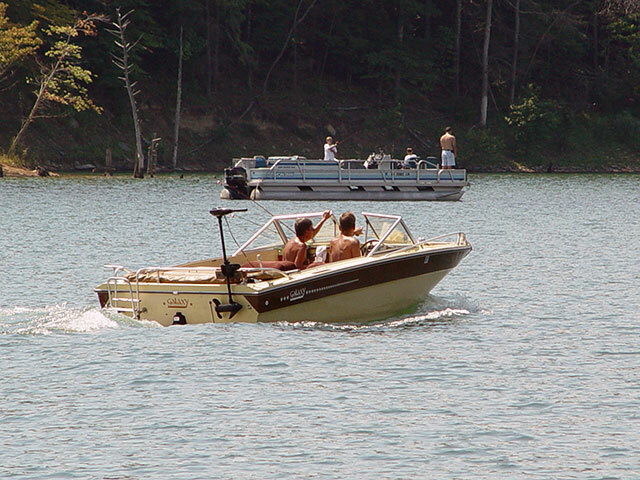 Yes, Cave Run is known best for its muskie fishing but, the land that surrounds the lake has much to offer as well. To say the least, there are two beaches with recreation areas, several campsites, including a horse camp, picnic areas and many scenic views. Wildlife on Cave Run is plentiful as it is almost completely within the Daniel Boone National Forest. Hiking on any of the designated trails that wind around the lake and the Daniel Boone National forest areas allows visitors to observe Mother Nature at her best. The lake itself provides fishing, boating and swimming. Twenty minutes from Long Bow Marina is the Red River Gorge. This area boasts over 50 rock formations sculpted into the earth by wind and water. This is a rock climber’s dream. The gorge rambles over mountainous terrain with abundant vegetation and wild life. If you go, don’t miss the buffalo and Indian Stair-Steps. From the gorge, head over to the National Bridge State Resort Park. Kids love the snake pit and area shops that hold many Native American collector items and souvenirs. This area is best known for the huge natural stone bridge carved by time, wind and water. Atop a 1,500 foot peak sits the bridge that can be observed best from the resort sky-lift. The best way to coordinate a fishing/hunting expedition is to acquire a copy of the most recent Kentucky Hunting Guide. Not only will this tell you what game to hunt in the Cave Run area but the important rules and regulations to protect you and to preserve our wildlife resources. License fees are listed here as well. Hiring a guide is another option. While this may be an added expense, the guidance provided to you is well worth it. White-tailed deer hunting is a popular sport. Turkeys on Cave Run are abundant. Cave Run Guide Service offers guided turkey hunts throughout the turkey season. These trips book up fast so be sure to call ahead. If you’re planning a trip or would like to plan a trip to Cave Run, find out ahead of time what is happening in our area. With a little planning, you can make your trip quite an experience. Cave Run Lake is located 50 miles east of Lexington Kentucky and was formed by the damming of the Licking River, a natural muskie habitat. The lakes catch rate ranks as one of the best in the country, and this 8300-acre trophy muskie lake has no closed fishing season. Nestled in eastern Kentucky’s mountainous area, this is one of the few bodies of water in the U.S. that has an undeveloped shoreline, surrounded by pines and rock this lake has the appeal of a Canadian shield lake. The construction of this reservoir left most of the timber standing, this underwater forest has one of the nations leading stocking programs and has the perfect environment for muskies to grow. These ingredients have jolted Cave Run Lake into the list of top ten muskie lakes by InFisherman and Field & Stream magazines. Record setting numbers of trophy fish are taken year-round by a variety of anglers. Further more Cave Run Lake holds the Kentucky State record for the largest muskie. Spring, summer and fall is the most common time of the year that people associate with fishing. But at Cave Run Lake the action doesn’t stop there. Winter months also produce good numbers of muskies and numerous fish in the trophy class size. Most areas across the U. S. and Canada associated with muskie fishing have a closed season, this period is not only created by ice but also by regulations that protect spawning activity. On Cave Run Lake it rarely gets cold enough to freeze hard and ice never overtakes the entire body of water. The flooding of native habitat has interrupted the natural spawning process. This destruction of spawning territory helped create the Minor E. Clark fish hatchery, the largest freshwater hatchery in the southeast. These Mason/Dixon muskies will create tremendous girths as winter settles in and they forage on the abundant gizzard-shad populations. By late January/February they have started to build egg mass for early spring release. This is a time overlooked by most anglers on the hunt for big fish, it is the time when muskies are at their premium weight. This is a period that is missed by the typical muskie angler due to misconceptions of native southern muskie and spawning habits. By preparing yourself with proper clothing this can be a wintertime activity you won’t soon forget. 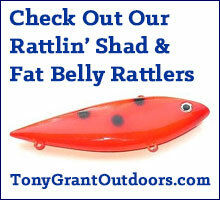 EXTEND YOUR MUSKIE SEASON! Don’t stop muskie hunting because of ice or regulations. Go south to cure the cabin fever or create a winter workshop in the company of our knowledgeable guides.